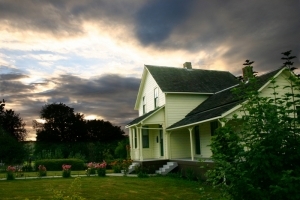 "Built in 1888 by james O'Leary, the Dogherty House stands as a symbol of the rich history and hertitage of Duvall and the Snoqualmie Valley." 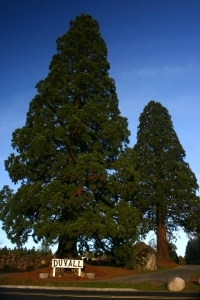 The grand sequoias of yesteryear greet Duvall visitors approaching town from the south. The Duvall Church still brings His light to the Snoqualmie Valley after more than 120 years. The day draws to a spectacular close, as the setting sun fades to pink and purple over the Snoqualmie River peacefully flowing beneath the Duvall Bridge. 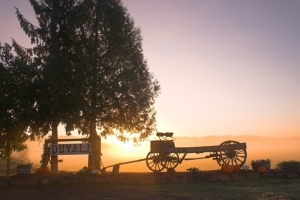 Another spectacular autumn sunrise over Duvall. 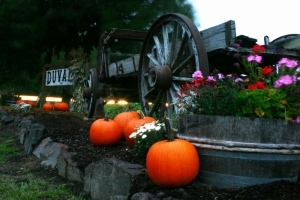 The modern lights of Duvall shine brightly against the backdrop of her heritage of the past. 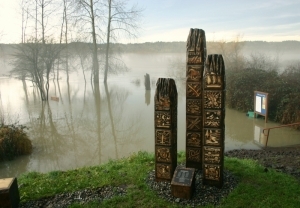 "Life, Land, and Lots of Water"
Dan Catrell's McCormick Park sculpture awaits the encroaching Snoqualmie River. Duvall remembers those who served the community in years gone by. All content copyright 2004-2009 Bailey Digital Images, The Bailey Bunch LLC.